Though there won't be a new iPhone or iPad unveiling at Apple's annual Worldwide Developers Conference, the company is expected to unveil new Mac hardware, along with a more modern looking version of iOS, according to one well-connected insider. Jim Dalrymple of The Loop offered his own expectations for WWDC on Wednesday, many of which are in line with recent rumors about the conference. Dalrymple has a proven track record in predicting Apple's future moves. "Don't expect an iPhone or iPad at WWDC," he wrote plainly. However, he does expect that Apple will introduce new Mac hardware at its keynote presentation, scheduled for June 10. In particular, AppleInsider has been tracking the drying up of MacBook Air inventory at authorized Apple resellers in the weeks leading up to WWDC. Intel is set to officially launch its next-generation Haswell processors in early June, which are expected to appear in Apple's next-generation Macs. Also candidates for upgrades are the MacBook Pro, Mac mini, and a long-awaited Mac Pro redesign. Dalrymple didn't offer any indication as to what new Macs Apple is likely to introduce at WWDC, but he did make an effort to tone down expectations regarding the anticipated iOS 7. "Personally, I don't think Apple will take it as far as what some might think," he wrote. "The way I envision iOS 7 is more of a modernization of the look and feel of the operating system. Kind of like what Apple did with OS X over the years." As for OS X 10.9, the next major update expected for Apple's Mac operating system, Dalrymple said he's particularly interested in what direction Apple takes. He noted that users have come to expect "deep integration" with all of Apple's products and services, and he predicts that a new OS X will offer tighter integration with services such as iCloud. 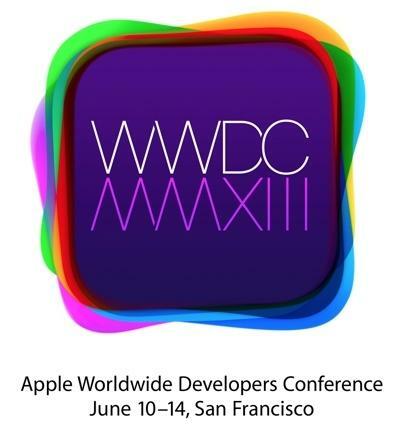 WWDC runs June 10 through 14 at Moscone West in San Francisco, Calif. AppleInsider will have full coverage.